While I thought the storyline was a little weak, especially at the end, I just loved the art so much that I'm going to happily recommend this book. Soft brown and gray paw prints cross the lighter gray endpapers, which are followed by a set of endpapers with splashes of brilliant color. It all comes together with a little white cat, "doing gray-day things". Then, she decides to collect some colors. She gets a spot of green from the tree, a splash of red from the roses, a swirl of blue from the pond, and so on. Eventually she curls up with her colors to sleep and the next day...has a rainbow of kittens! 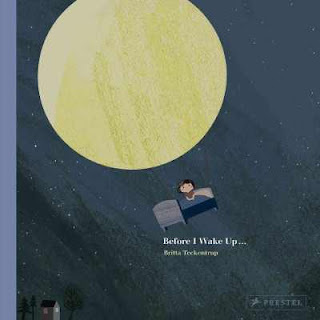 The simple story, perfect for toddlers, has some nice turns of phrase but the real draw for me is the art. I enjoyed Anderson's stylized pictures with their bold outlines in Momo and Snap and she once again uses simple forms along with the addition of splashes of color to create a visually pleasing landscape. 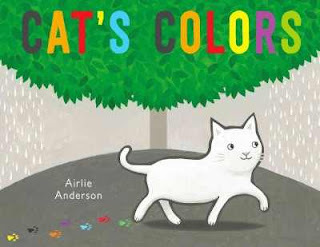 It will not only work well to teach children about colors, but is a fun, sweet storytime choice that parents and children alike will enjoy. Verdict: While there are many more classic "learn your color" titles, the art in this one is so pleasing that I would happily add it to the canon and heartily recommend adding it to your collections. I'm quite pleased with these newer titles from Jump's new imprint, Pogo. Although this isn't exactly what I'm looking for in my collection development right now, specifically, I would definitely put it on a list for later. This title is part of a series about animal defenses; this one is about camouflage. 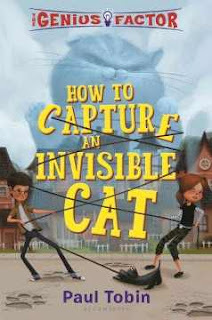 Each chapter features a different type of hiding skills - the first features animals who blend in, with their background or in other ways. "Costume Changes" shows how animals change their colors to hide. The third chapter (each chapter is 2-4 pages long) shows animals that mimic other poisonous or deadly creatures. There are several additional animals pictured in thumbnails throughout the book. The main text is followed by an activity creating your own camouflage, a glossary, and brief index. 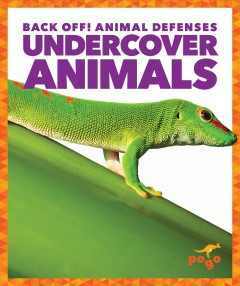 Verdict: I'm currently focused on books specifically about individual animals (trying to replace our ancient Nature's Children titles) but animals hiding is always a popular subject with the kids. This is a nice overview with a clear introduction to the topic and fun seek and find activities throughout the book. Additional titles in the series cover animals with armor, electricity, slime, venom, and more. Recommended. This week at the library; or, May where did you go? Staff meeting, working through more summer reading stuff and things on my desk, planning school visits. More planning and stuff. Things keep happening. I ask myself why? WHY? Had to reschedule to today because of the weather. And then it didn't rain yesterday and poured this morning. At least summer is nearly planned and I've decided everything else can either wait until after summer or I'm just going to give my staff extra chocolate and let them deal with it. A first grade class came over in the morning for a project - I just had to have books prepped for them and show them where to be. I love how beauuuutifully behaved all the kids here are! The second graders were also awesome and really enjoyed exploring the library. Their favorite books were Glow and The Princess in Black and the Hungry Bunny Horde. I did have to stop a couple of them from delightedly playing with the babies they discovered in the play area. I reminded them that you have to ask the mom before playing with babies that aren't yours! Normally I would be handling these kids alone but, b/c of other things going wrong this week, Jess came in an extra day! So there was a bright lining after all. I scheduled a gazillion Facebook posts and left early. Delphine has only just noticed Nate Bannister. He's very quiet and a little odd, but only when she sees him being tested by some strange people does she realize he's not at all the average, boring kid she thought he was. The next thing she knows, she's gotten caught up in his insane adventures, trying to corral an invisible (and giant) cat, escape from tea-drinking assassins, riding hippos, having discussions about emotions with a car and....what has she gotten herself into?? This is very wacky. It's definitely in that genre of adventure story that could easily be mistaken for a bedtime story. "And then what happened?" "um....then hippos showed up! But he had a friendship ray! But then he dropped it in the water!" Nate is constantly producing gadgets, unlimited funds, and scientific gabble to solve any problem that arises, so the sense of peril is never really there. Older middle grade readers are probably not going to be interested in this unless they're really into silly stuff. But younger readers, who might be more willing to read silly adventures, are unlikely to pick up a book this long (260 pages). It falls into that tiny audience of young but strong readers. Verdict: These types of silly adventures don't circulate very well at my library and the genre is already quite full so I'd pass on this one. I'd reconsider if it was a graphic novel or shorter (100 pages or less). I love Teckentrup's bright, vigorous colors and textures so I wasn't sure how I'd feel about this book when it arrived and I saw that it seemed to be a very different style of art. The text is a little girl's dream and, to be honest, is completely forgettable. It's written in stilted rhyme and is very random. "I swim with the whales/I dive into the ocean/I close my eyes/so full of emotion" or "When I open my eyes we're deep in a wood./We follow the path. I feel so good." So, let's move on from the text. The art isn't really what I expect from Teckentrup; it's very dark and mostly in shades of black and brown with a few sharp splashes of color. Initially, I didn't like it. However, the more I studied it, the more interesting it became. There are several spreads that are layered with different prints, colors, and images. The lack of emotion on the face of the girl and lion makes each pictures seem like a separate landscape, a dreamscape of events and emotions, where the focus is on the background and what the reader imagines, rather than what is pictured. Verdict: In the vast sea of bedtime books this doesn't really stand out and the text is mediocre at best. However, if you're looking for titles to stimulate the imagination or introduce children to different art styles this is a good choice. Yep, that's blood. No sentimentalizing of animals here - this is real life and these critters have to eat! 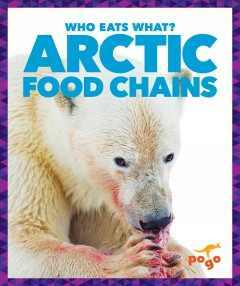 The book explains the basics of the Arctic biome, then explains a food chain. It uses precise language, "predator", "consumer", and "producer" and clearly shows each part of a simple food chain. In the sample, plants grow to feed a hare, the hare is eaten by a fox, the fox is eaten by a lynx, eventually the lynx dies. Its body is eaten by scavengers and broken down by insects and then feeds more plants which restart the cycle. The book ends with a brief note about global warming, an activity encouraging the reader to build a food web, a glossary and index. It just so happens that I've been looking for more specifically about the Arctic tundra, but regardless this was quite good. It's at an intermediate level and would work both as a read-aloud to younger, struggling children or in independent reading for elementary kids starting to research topics. The photos are realistic but not unduly gory and the simple graphs and diagrams are easy to follow. Verdict: A great series to introduce younger kids to different biomes and the food chains within them. Recommended. Supervisory things, cleaning off my desk, and going over lots of misc. details. First meeting of the Autism support group!! Only one person came, but it's a beginning! Planning summer programs and continuing to work on weeding. Board meeting for a charter school group in the afternoon. I told the teens to be good when I left b/c our director was feeling frazzled and they didn't know what I meant! Worked a half day. It was kind of crazy and then it wasn't. 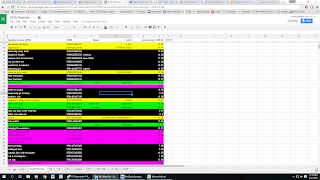 I worked on collection development spreadsheets because my mind was feeling a little fragile. Still planning all the things. This is why I took a half day on Wednesday. The regular presenter has moved jobs (how could you do this to us Lena??) and the volunteer covering was a little freaked out at the prospect of 100 four year olds! However, as I reassured him, kindergarteners aren't critical! They all had a lot of fun, learned about pollination, and were very well-behaved, even the ones who, as I like to say, have personality. Tricky lexile questions. I really wish that, if teachers require kids who are reading at 1200 or above to stick to their level, they gave them a LIST. Strong reader finished Wolves of Beyond, I suggested some other series but then got her interested in Redwall. I think that is a match made in heaven. The story begins with a brief explanation of Mexican independence and then delves into the complicated story of Texas' early history. Hale carefully lays out the players in the complicated events from the various native tribes to different groups of settles. He even includes some animals, like rattlesnakes and armadillos! Despite the executioners' interest in hearing the stories of Jean Lafitte (pirate controlling Galveston) and maybe having an "executioner slumber party" the story marches inexorably on, introducing famous characters like diplomat Stephen Austin, reckless lawyer William Barret Travis, and their interaction with the changing scene of Mexican politics, from Guerrero to Bustamante to Santa Anna. There are side trips to learn about James Bowie, Santa Anna's rise to power, and constant unrest and uprisings across Texas. In the end, the Alamo is but one story among many on the complicated, violent road to Texas independence and eventual statehood. 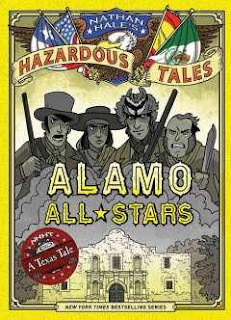 Hale's color scheme for this title is a kind of sickly yellow and gray, suitable for the general color of Texas (Yes, I grew up there. No, I'm not a fan. It's green for like, two seconds in April and October.) and the cholera epidemic that overshadows the complicated political maneuvering and violent battles. Although he includes the well-known and "popular" characters - Crockett, Travis, Austin, Bowie, etc. he also includes as many references to and stories of native populations and local settlers as possible, keeping the book strongly representative of Texas' diverse population. Hale's stories are, as always, funny, informative, and fascinating reading but also include a nuanced portrait of the events and people involved. Verdict: Another great history title from Nathan Hale! This will be a cinch to booktalk at upcoming summer events, whether or not you're in Texas. The whole series is highly recommended (although Big Bad Ironclad remains my all-time favorite). I loved Jenson-Elliott's Weeds find a way but had a hard time clicking with this title. It's a very different format, as well as a different illustrator. The repeated refrain "I dig in the dirt" heralds a number of discoveries. A pill bug which curls up, a spider who runs, a sprout that grows, etc. The simple story ends with one final discovery - add some water to the squishy dirt and get....mud! The illustrations are blocky and have a textured look that fits well with the dirt. The worms, spiders, and other bugs are cute little cartoon critters. The hands digging into the dirt in each sequences are large, tan and have splayed fingers. So, I do love the text. 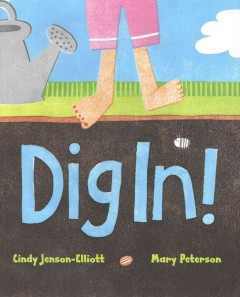 I like the repeated refrain, I like how it introduces very young children to what they'll find in the dirt in a simple way. 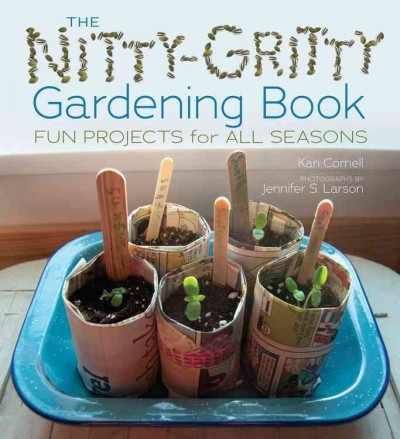 This would click perfectly with our toddler storytimes and our garden project coming up this summer. I like the cheerful little cartoon worms and the texture of the dirt. I just can't like the hands. They look weird and creepy to me. This is totally subjective and everyone else loves this. But I just can't get over the hands, and the way they look like sort of flat, floppy gloves. I also don't care for the shade of green used. Usually I won't pay much attention to little details like this that are totally personal, but I've had this for quite a while and I just can't like it. Verdict: Everyone else likes this and I know my colleague will love using it in storytime. Just chalk it up to my personal weird issues and purchase it for your own gardening/dirt/worm programs with toddlers. I'm looking at as many gardening books as possible, now that it looks like our long-awaited gardening project at the library is finally getting off the ground. This is one that has been on my list for a while; I briefly skimmed it after borrowing it from another library. However, once I got a review copy I was able to really delve into the projects and ideas. The book is divided into four seasons. The introduction covers not only gardening basics, like planning your space, testing your soil, and caring for plants, it also discusses the environmental importance of gardening. Spring projects include seed starting, a bean pole tent, and growing potatoes. Summer projects have instructions for various plantings, stations for birds, and creating a hanging garden. Fall projects include forcing bulbs, creating window boxes, and making an indoor compost bin. There are still gardening things to do in winter; create a terrarium, grow an avocado, or grow greens in a window. There are lengthy resources including a glossary, resources, supplies, and index. The photographs include a diverse group of children and the simple drawings have both white and brown hands. While this book has a limited number of projects, it is very detailed, both in instructions and in explaining what is happening and why. The instructions are extremely detailed and, while the projects are primarily geared towards readers living somewhere with seasons, many of them are multi-purpose and can be adapted to different climates. Verdict: This is an excellent resource for families or older kids wanting to try gardening but with no prior experience or knowledge. I think it will spark interest in trying new things and even learning more about the environment. Recommended. The pollen counts are ridiculous. My sinussesss. I brought lemon cake for my aides' birthdays and we had a staff meeting. I unpacked supplies and tried to plan Saturday's program and the rest of the week's craziness. This was kind of a long day. Of course it rained, but the fifth graders made it over anyways, there were lots of people and six giant trucks at the Roll into Summer party, then our local charter school classes, then our last book club. Oh, and the chicks hatched. No programs! I made pilgrimage to Walmart for summer supplies and covered the desk in the evening. It was fun and amazing - I think I still like ALA best, but I'm glad I had the opportunity to go. My feet hurt. I'd forgotten how much work it was to run these events on my own! Thankfully our circulation supervisor helped me set up tables, one of my moms helped clean up, and the associate on reference came over and took down a lot of tables. From set up to clean up, 8:45 to past 1pm. Some pictures from BEA - I use my camera to remember books I want to look at later. I bought this book for the library back in 2008 and just noticed that the sequel is coming out in the US in May. I bought it for the cover and the cute description, but never actually read it....so I decided to see if it was worth getting the sequels. Daisy Dawson is an independent individual and loves her morning walks to school....although she has a tendency to be late. One morning, she rescues a butterfly and mysteriously gains the power to talk to animals. Her new ability gets her into trouble, but makes life a lot more interesting too! This is a charming and unique beginning chapter book. There were a few parts where the plot dragged a little and the description felt a bit long-winded, but on the whole the story is engaging and the characters - human and animal - delightful. I especially liked the strong ink and pencil illustrations, which made an excellent blend with the characters and plot. Verdict: Not quite fantasy, not quite school story, not quite family story - there's something here for a wide variety of beginning readers, especially those who like animals. I'm definitely getting the rest of the series! Revisited: This continues to be quite popular with my beginning chapter readers. I did purchase the rest of the series and it's still available in several formats. Still highly recommended! 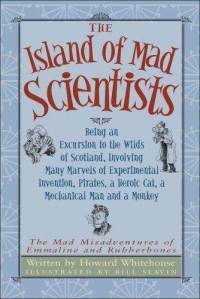 Being the third Misadventure of Emmaline and Rubberbones, involving an "Excursion to the Wilds of Scotland, Involving Many Marvels of Experiemental Invention, Pirates, a Heroic Cat, a Mechanical Man and Monkey." In this hilarious third installment, Emmaline, the budding aviatrix, and Rubberbones, the indestructible boy, take a back seat and Princess Purnah is the main character. As they try to make their way to a safe haven in Scotland, the characters are separated from each other and set off to their own adventures - Emmaline and Professor Bellbuckle join up with pirates (and where Professor Bellbuckle goes, can explosions be far behind?) Rubberbones and Lal Singh are the first to discover the sinister plans of The Collector, and Princess Purnah, after adventures involving fake seances, policemen, and umbrellas with Aunt Lucy, is on her own. Together with Harry the tramp (or is he?) and Maisie the Very Fine Cat, she learns some interesting lessons about dealing with miscreants. Verdict: Fans of the Series of Unfortunate Events or Philip Reeve's Larklight series will love these hilarious and insane adventures! 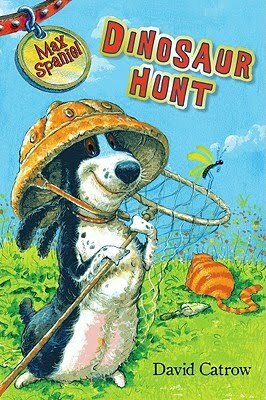 Revisited: I loved this series but could never convince kids to check it out. Series of Unfortunate Events is no longer popular in my library and Larklight has only ever circulated for kids who need last-minute high lexile points. There are some editions still in print, but it's only a matter of time before it's weeded. Did I say I wanted books that were new and fresh? Here they are! It's been a while since I've seen an easy reader that broke away from the classic Frog and Toad form. (Cork and Fuzz, Mouse and Mole, Cowgirl Kate and Cocoa, Houndsley and Catina, Elephant and Piggie, you get the idea). Not since Fly Guy, in fact. But here it is! David Catrow's first writing effort is a doozy; a plump and wiggly spaniel named Max, who is not a dog is really...a dinosaur hunter! He has many different ways to hunt and lots of equipment, and with a little imagination and the right equipment, he finds dinosaur remains in the most interesting places. The text is well-suited for a beginning reader, with a little help on long words like "dinosaur". The illustrations and text are very closely aligned, each sentence either illustrated or contrasted by its corresponding illustration. This is David Catrow's first book and he's created delightfully silly text to match his exuberant drawings. Max Spaniel is inherently doggie, but he's also every kid, on a great adventure with whatever comes to hand....or paw. Verdict: Funny, exuberant, and full of Catrow's signature illustrations, this new easy reader series is sure to be popular. Revisited: Yep, this series is almost as popular as Fly Guy. I've had to replace it several times. Still a popular choice for beginning readers! Darcy is devastated when her fancy play date with her best friend is cancelled. But then Daddy suggests they have a play day together, doing things from both of their lists. Darcy is skeptical, but Daddy asks her to give him a chance. They get dressed up together, mow the lawn in fancy designs, play with their hair, have a laundry battle, and then....Daddy asks Darcy to help fix the fence. She's a little worried, but he reminds her "Princess, sometimes things you've never done end up being fun. Try it." Darcy takes a chance and it turns out great! But then it's time for her challenge - manicures. Daddy is worried. Isn't nail polish a bit...permanent? But he's willing to try something too and soon they're both as fancy as can be. I'm generally not a fan of digital artwork, but Flashlight Press is different - their illustrators do a really good job and they tend to publish books that are just a little different and fill niches in the collection. 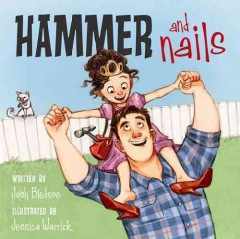 Yes the story is somewhat didactic and it's rather text-heavy, but there are so few books featuring a single father and daughter that those minor quibbles are easily brushed aside. Kids will giggle through Daddy's silly antics and hopefully both kids and parents will feel more comfortable trying new things together. It's also the perfect book to hand to kids who want to see their family reflected in the books they read. It's a little long for a typical storytime, but could easily be shortened or used in one-on-one reading. Verdict: A must for every library, unless you have a hitherto undiscovered wealth of titles on single fathers parenting daughters and trying new things together. This is a bit of a departure from my usual reviews, but I really enjoyed this book and look forward to using it in programming, adding it to the arts and crafts books in the juvenile nonfiction, and have already started recommending it to colleagues. I don't remember where I saw it recommended; I think on a site for children's play or activities. It begins a letter to "mess", welcoming it into the home and introduction talking about the importance of play in early development and learning. It's not preachy, but rather is down-to-earth and practical, setting the tone for the book. There's a guide to which of the senses the different experiences engage and a quick guide to dealing with allergies, clean-up, and safety. There's also a guide to making natural food coloring. One of the things I appreciate about this title is that it's not hectoring - natural or store-bought, whatever works for your family. They're simply providing the tools for play. The experiences are divided into "Indoor Play", "Outdoor Play" and "Takeaway Play". They range from actual recipes - yogurt paint, texture balloons, slime, and window painting to simple play suggestions like water play, garden soup, and a ribbon leash. Everything is simple, inexpensive, and the directions include not only notes on sensory interaction but set-up time, clean-up time, and mess factor! Part of me is sad that we need a book like this - who would think parents need to be taught to let their child play by stirring up found items outdoors into "garden soup"? But with a growing generation of parents whose own parents had limited experience with free play, what may seem like "common sense" to those of us who grew up playing is no longer so simple. 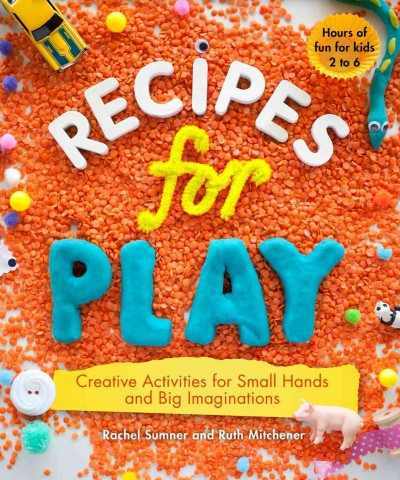 One of the things I really appreciated about this was that the mixture of recipes and suggestions for play means that it has a wide audience. The authors don't talk down to their audience, rather introducing their ideas with a mix of nostalgia and gentle advice on encouraging children to play and experience the world around them. Verdict: I think this is going to be a must-have for my library and a strongly recommended title for other libraries. Depending on your community and programming needs, you'll have to decide whether it's better in the professional collection, juvenile, or adult nonfiction. We have a staff member who makes these. Be jealous. No programs! So we were free to concentrate on the aftermath of updating/new computers from last Friday, the art show came to set up, there was a massive glut of shelving, and all other Monday things, like the copiers hating me. Nice turn-out for Pattie's party, the printers still hate me. Very busy day, tons of people, we discusssed the eating habits of alligators, the lifespan of hamsters, and whether we'd rather be nice or funny and if it was possible to be both at book club. Cleaning day. Yes, I went to work in shorts. I was in the back the whole time and previously alerted the staff - there was no way I was going to spend the day hauling things in and out of the basement without shorts! I got the basement cleaned out, my office cleaned out, and now I need to get started on summer planning - and I know what is there! Jess cleaned out the storyroom storage and even came down to the basement a few times, mostly so I didn't just throw everything out. Today I ordered supplies for the summer as well as tackling my backlog of webinars. Multitasking. I also started putting together summer booktalks. The weather is beautiful, which means I can't breathe. Allergies. Sigh. I got through the 759s though - did ALL the craft books! And then I experienced fish fry for the first time. Eh, it was ok. Midwesterners are kind of weird though. Cleaning! Planning summer programs! Preparing for outreach visits! I selected this for my book club, only belatedly realizing it's number two in a series. Sigh. I always try to do the first book but oh well. This is part of the rather odd trend of cutting chapter books down to beginning chapters. I find this trend odd and rather pointless since, if they're trying to attract a previous fan base, those kids are unlikely to be familiar with the characters and if they're trying to build a new fan base the books are really quite close together in reading level and by the time the kids move on to the older chapter series they're likely to have lost interest. However, they are useful beginning chapter books and I've bought quite a few of them - the younger series of Hank Zipzer (Here's Hank), Judy Moody (Judy Moody and Friends) and Humphrey's Tiny Tales (Humphrey). 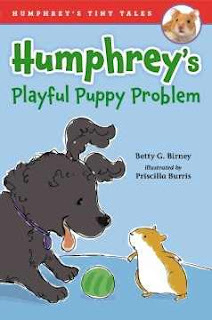 Also, I've never read the original Humphrey books, I just know they're about a class hamster and their popularity seems to rise and fall with regularity. SO, what is this book about? Humphrey is hanging out in his cage and watching the class doings with interest when he learns that the kids are going to do experiments, he's going home with Richie for the weekend and Richie is....going to do an experiment on HIM! Humphrey is very worried about this, even more so when he gets to Richie's house and discovers they have a very playful and scary new puppy. But once the experiment gets underway and Richie's uncle, the school janitor, helps Humphrey feel more at home, things seem to be going well. 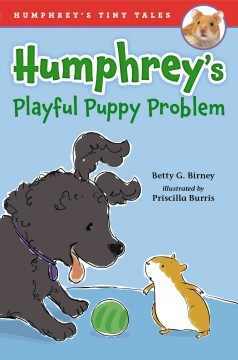 But then disaster strikes and only Humphrey can fix the experiment - if he can get past his fear of the puppy. What will Humphrey do? Verdict: So, honestly I found this book to be....boring. Nothing much happened, it was rather repetitive and I kind of trudged through it. But kids who are struggling to move into chapter books will find this a good choice. The language and plot is simple so they can concentrate on their reading skills without losing track of what's happening, there's enough mild humor and silliness to keep them reading, and there are only a few, easily identifiable characters. 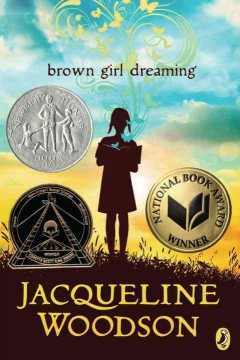 It's a good choice for my younger book club, which has a lot of struggling readers and I'll continue adding these titles to our collection. Chicken, in a blue sweater and shoes, builds a tower out of blocks. Turn the page, and she's SUPER CHICKEN rescuing a dragon from a castle! 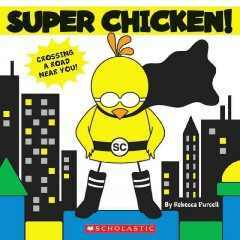 Each every day experience - building, bath and bed - turns into an adventure for super chicken. There are a couple cut-outs in the book - on the cover (the black cape and title are actually shiny red) there is a star cut-out in Chicken's cape and cut-outs that give her pupils in her eyes. Small squares are cut out in the blocks that change to castle windows, and a larger cut-out turns the bathtub into a boat. An egg-shaped cut-out on the last page in Chicken's striped bed cover turns into a zebra's body in her dream. The book is a large square, about 8x8, with 8 pages overall. Verdict: Cute, but the art didn't stand out to me and I'm not sure babies and young toddlers will grasp the superhero concept. I'd pass on this one. This has "toddler bedtime storytime" written all over it. In big letters, naturally. 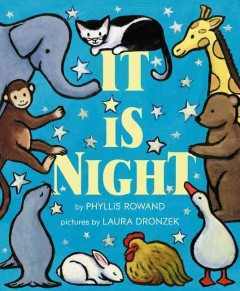 In rhythmic prose the text asks and answers questions of where the animals sleep at night. Listeners can guess the answers before turning the page and giggle at the sometimes nonsensical answers. An example spread shows a fuzzy white bunny in a blue circle on a bright yellow background "A rabbit, of course, if he has his own way, will go hopping at night and sleep all the day...Where would be a good bed for a rabbit?" Turn the page and see the rabbit nestled deep in the rich greens of a cabbage, "In a cabbage. Except that he would want to eat it. And he couldn't sleep in it and eat it too." In the end, all of the animals, the train, the dolls, all have beds - but do they sleep in them? No, they sleep in the child's bed! There's a childlike simplicity to the questions and answers and the narration as a whole that is very soothing and connects with both the listener and the reader. The ending is a gentle chuckle rather than an uproarious laugh that ends the story on a sweet note. Dronzek's rich colors and thick, blurred lines are the perfect match for this bedtime story. They make the animals look like comforting toys for a good hug, which indeed they turn out to be. My only small quibble with this title is that, of the eight animals who are given gendered pronouns, only one is female (the cat). There's no reason the seal, duck or mouse need to be male, other than just naturally falling back on that pronoun. However, that's something I'd have no problem flipping in storytime. This is a new imagining of a classic text, so it's natural that it would have originally emphasized the default pronoun. Verdict: This is a lovely story, perfect for groups or one on one and an absolute must for any library collection. Highly recommended. This was published a few years ago but I just discovered it and am now eager to introduce it to fans of history, disasters, and fast-paced historical adventures. 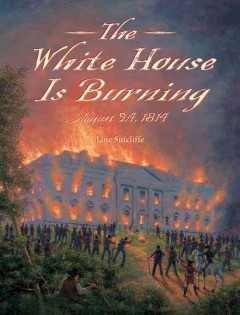 Jane Sutcliffe presents a moment-by-moment account of the burning of the White House in the war of 1812. She includes eyewitness accounts from soldiers, civilians, slaves, and government officials. The story opens with a brief background of the war's causes and then takes readers on a tense, moment-by moment description of the British advance on Washington, the retreat of the American troops, and the burning of the White House. While the main emphasis is on the main actors in the events, Sutcliffe also includes the perspective of slaves and women. Back matter includes a detailed bibliography, notes, and index. Verdict: Even though this is a few years old, it's an excellent account of an important historical incident. Fans of I Survived will be interested in checking this out and it makes a great book talk. It's a fast read and holds the readers' interest.